I picked one up from ebay today. I've wanted one of these since I first read about them over 10 years ago. This was my first ever ebay purchase as well. Besides being 10 watts it has one 12AX7 preamp tube, as well as a 6L6 power tube. It also comes with a standby switch. It appears to be built like a tank as well. I've read good reviews on these. The only mods I plan on it are speaker change and, tubes. The speaker is an 8 inch. I have no idea what ohms are on it. If it is a four ohm I'm in luck! 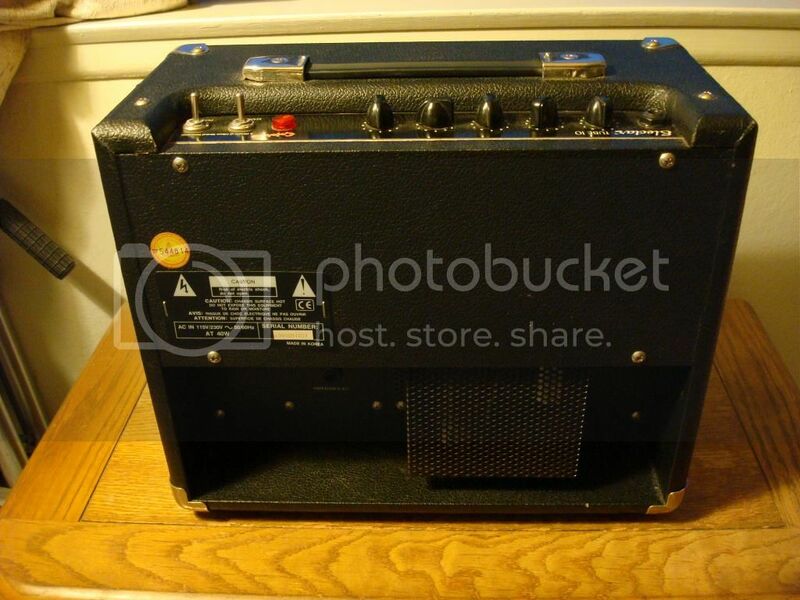 I'll be able to run a Jensen P8R ALNICO magnet speaker I got put away, which is brand new. What da ya mean dude, You mean like dude ranch?........In other words, If music be the language of love, then play on! 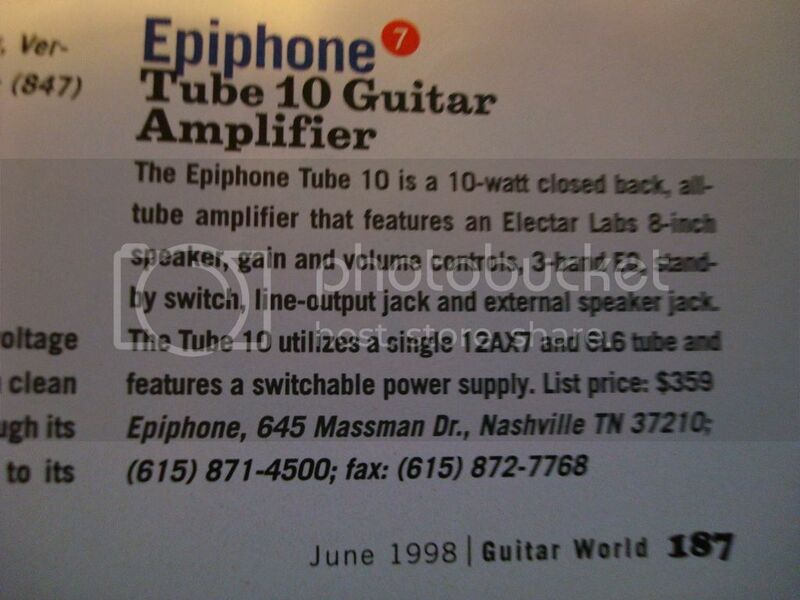 Here are some photos of the Electar Tube 10 I got today. I plugged it in for a bit and, it rocks! Pretty clean circuit as well. 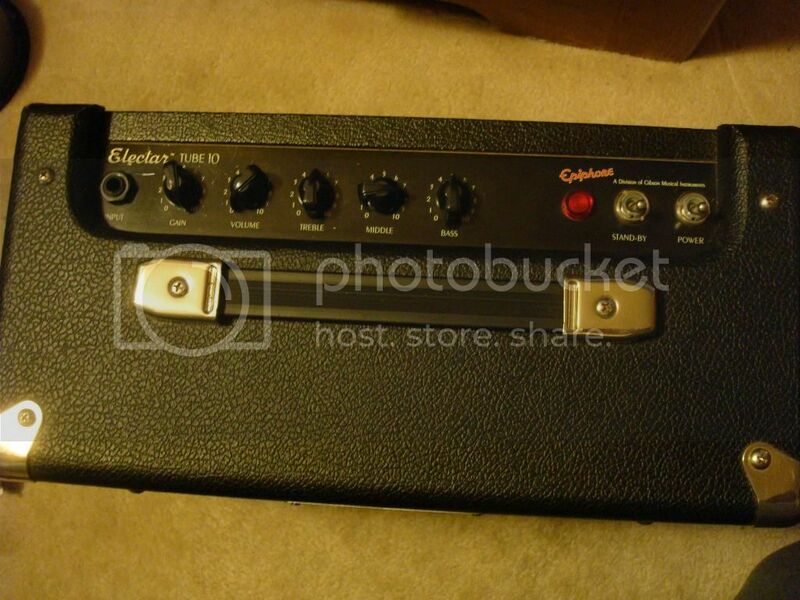 I've been using an Electar Tube 10 for blues harp for about 8 months and really like it. I added a little gain/distortion pedal that a pal gave me and it comes across really great. Recently bought a Century replica amp and I really like that. The little overdrive footswitch and 3 input levels is a nice touch for harmonica too. BTW, yours looks to be in super clean condition . . nice! I'm going to try it with a different speaker I'll build myself - to compare it with the inside one. Should be fun and maybe it'll sound good. Enjoying it all. Hope you do too. Yeah I'm stoked with it! It is in a very clean condition. I opened it up the other day and found that it is not modded at all. They did change out the preamp tube to a USA made Philips. It has a USSR made 6L6 in it. I want to put a JJ Electronics 6L6 instead. 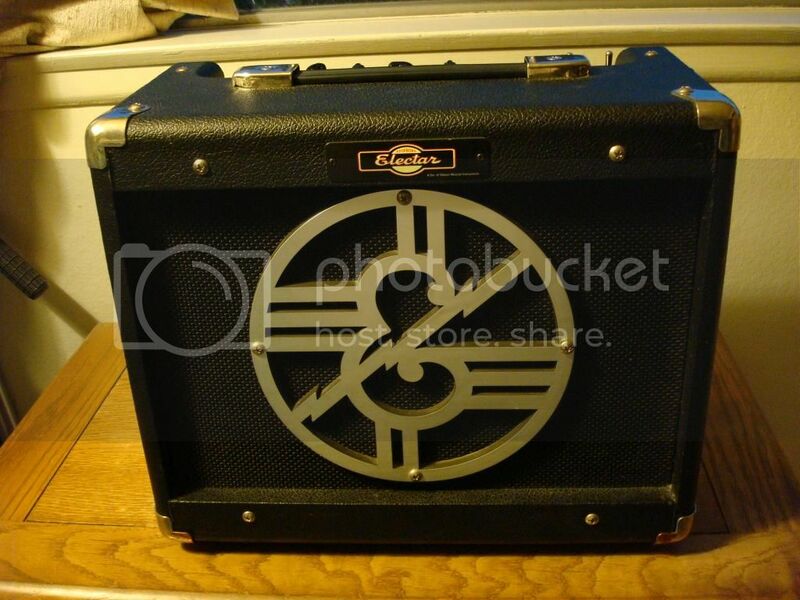 It still has the original Electar 8 inch 4 ohm speaker. I can't put my extra Jensen P8R 4 ohm ALNICO magnet speaker in there. The horse shoe magnet sticks out too far. I'll try a different nice 4 ohm speaker in there. If you're not dead set on having a speaker INSIDE the cab you can build your own external one quite easily with limited tools and talent. Like cooking with recipes, if you can read and use the proper tools, you can make almost anything. This guy has a neat take on a dual 12 cab but you can mod it to be whatever you'd like it to be. . . and to house your favorite little speaker or a bigger one. Video #1: https://www.youtube....?v=FRKeIF5jWD4. If you aren't interested in the woodworking, craftsmanship and DIY aspects of speaker building, you can mount your most loved speaker in a thick walled (lo-resonance) styro cooler with hot glue (the spkr could go on the lid so it's easy to handle before it's in the box), wire the speaker (observe polarity), poke the wire thru a hole somewhere on the box (hot glue around the hole to stop leaks), install a plug onto the cable coming from the box, maybe hot glue foam rubber (old mattress pads are great for this but ?? )or household wall insulation onto 3 of the 4 inner walls, secure the top (Hot glue is pretty permanent, looks good- maybe duct tape - ugly & maybe temporary but effective? ), plug it in an let it rip. If you pick a speaker that's efficient enough, you could try a 10 or 12-inch driver instead of the 8. Also, depending on what kind of sounds you like, a woofer and tweeter could be fun too, instead of a wide range speaker. I'm not so sure, unless you load the poo out of it somehow, that an 8-ohm won't work with the tube amp. It should be pretty tolerant of most material as long as you don't overdo it. I'll bet you're surprised if you build one. I also hope it's fun, rewarding and makes you proud upon completion. I'm keeping the stock one in there right now. It works pretty cherry. I want to try out a new distortion pedal through it which sounds great through other amps I have so far. Even without pedals this amp is very nice. I have two Epi amps and both sound excellent.